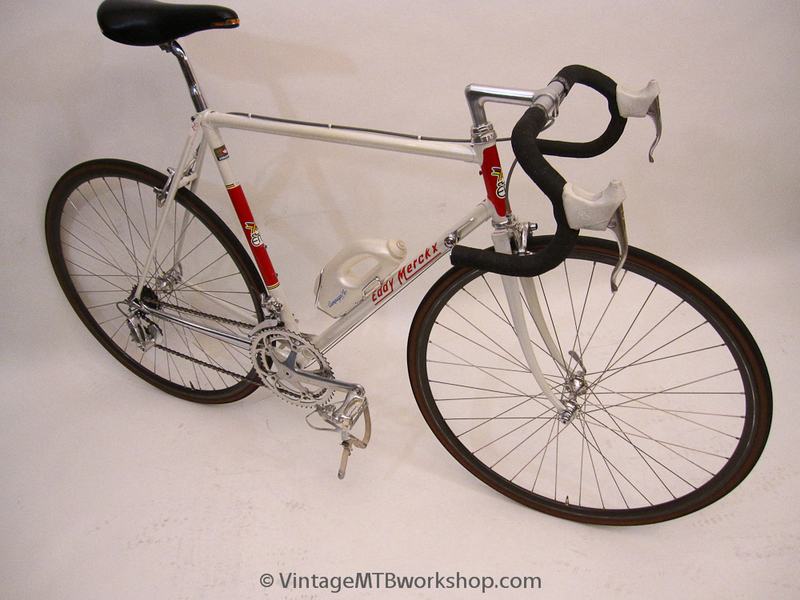 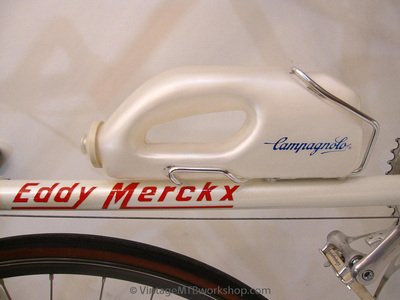 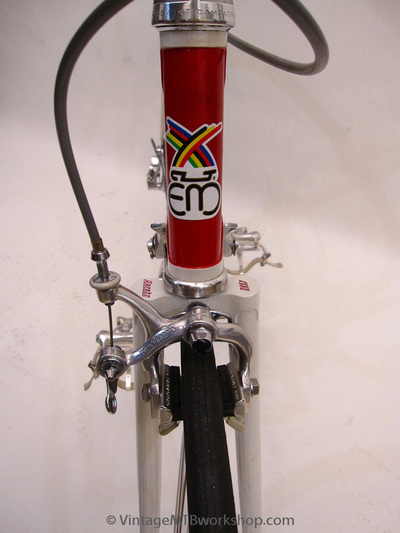 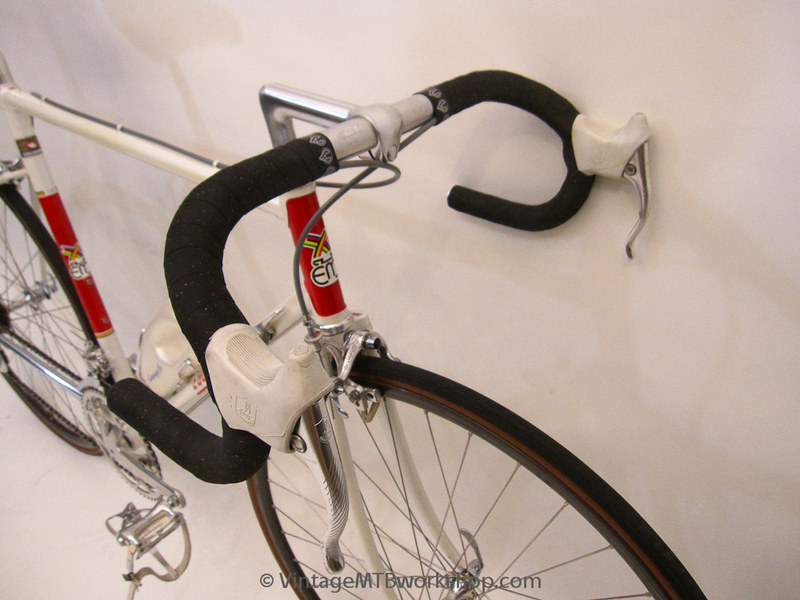 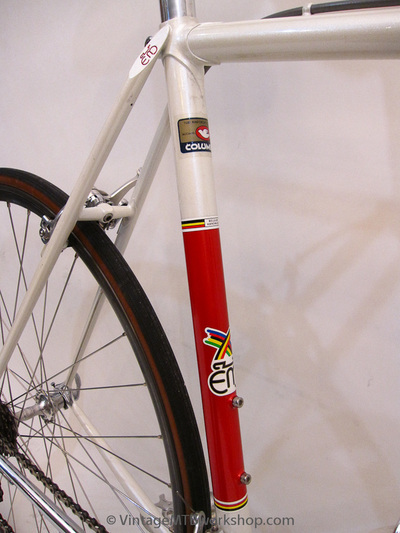 This Eddy Merckx has the paint scheme of Team Faema and a square crown fork that harkens back to the days when the Cannibal raced on De Rosa bicycles. 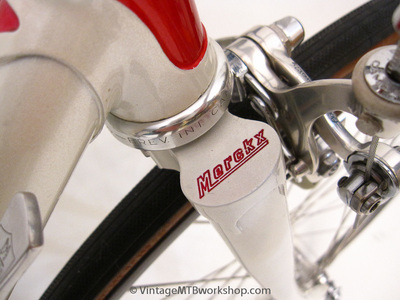 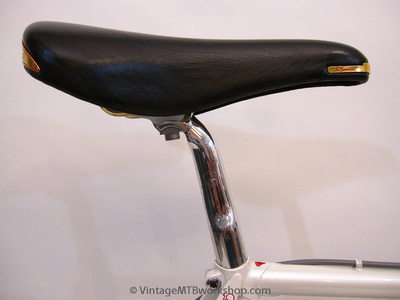 This bike was originally purchased at the Morgel-Bismark bike shop in Boulder, Colorado. 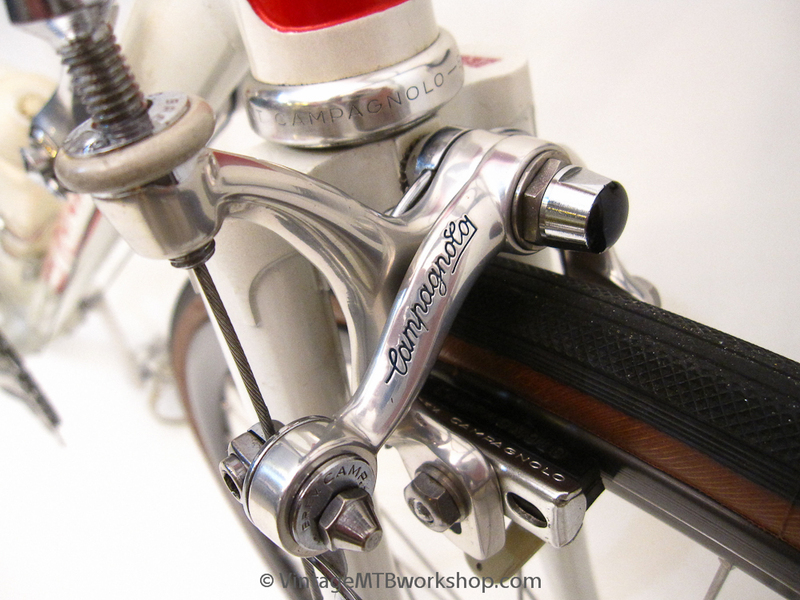 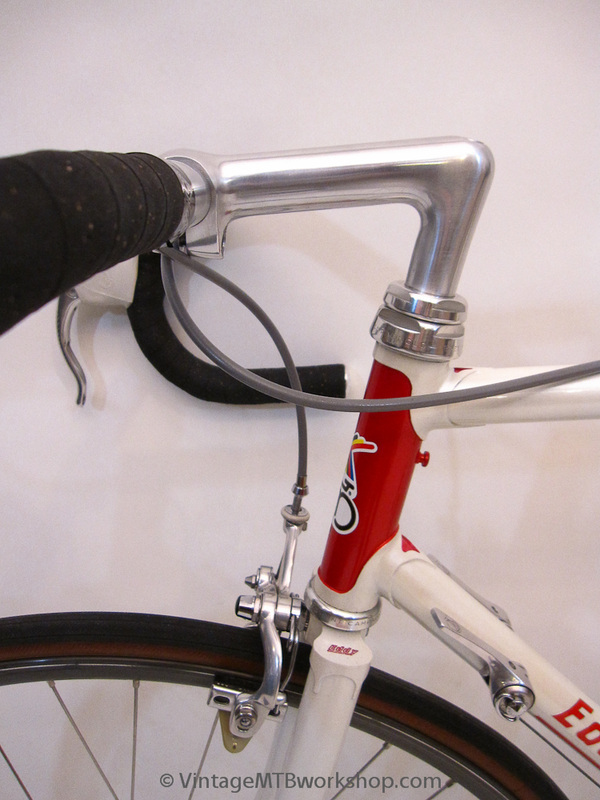 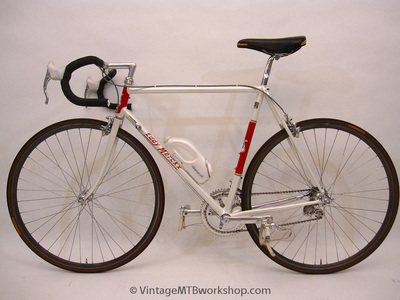 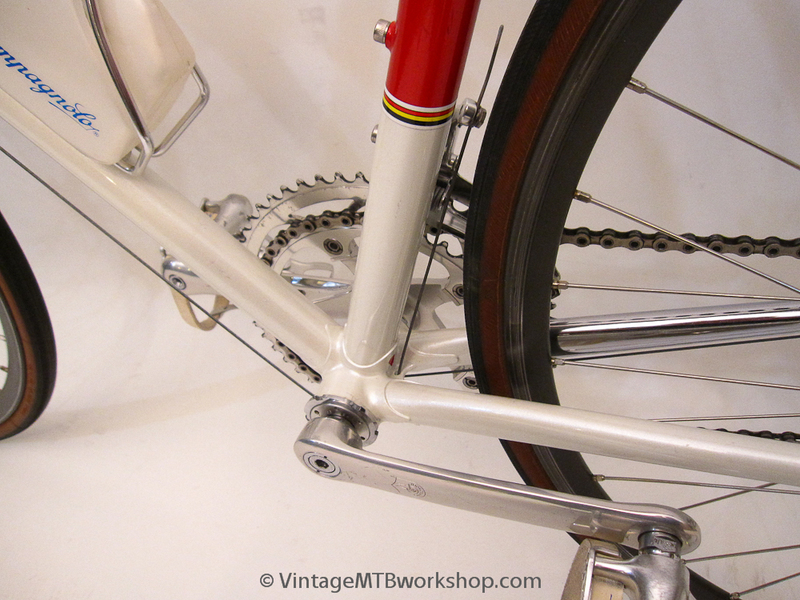 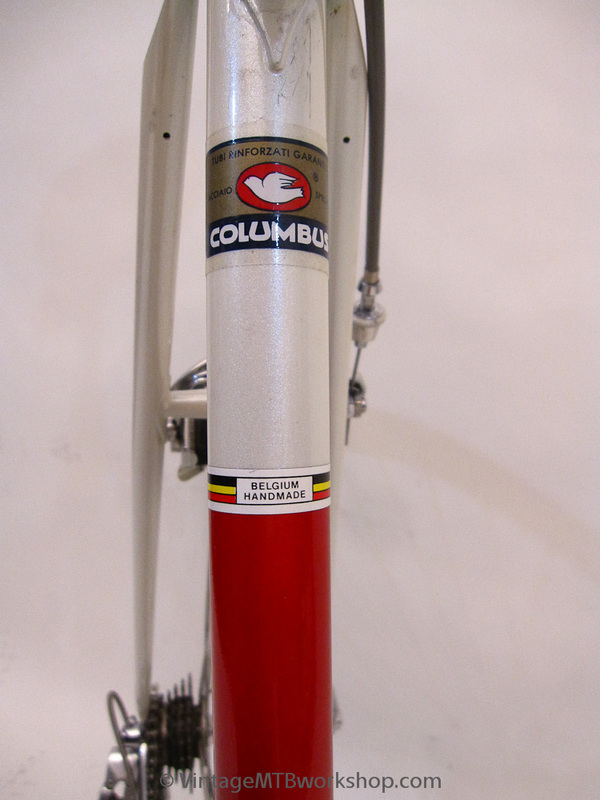 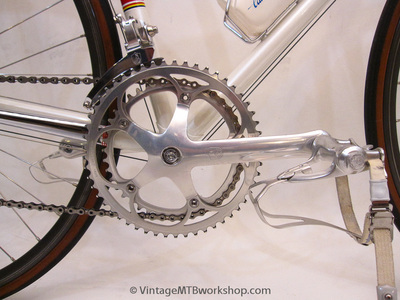 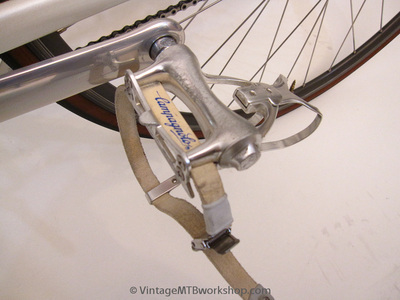 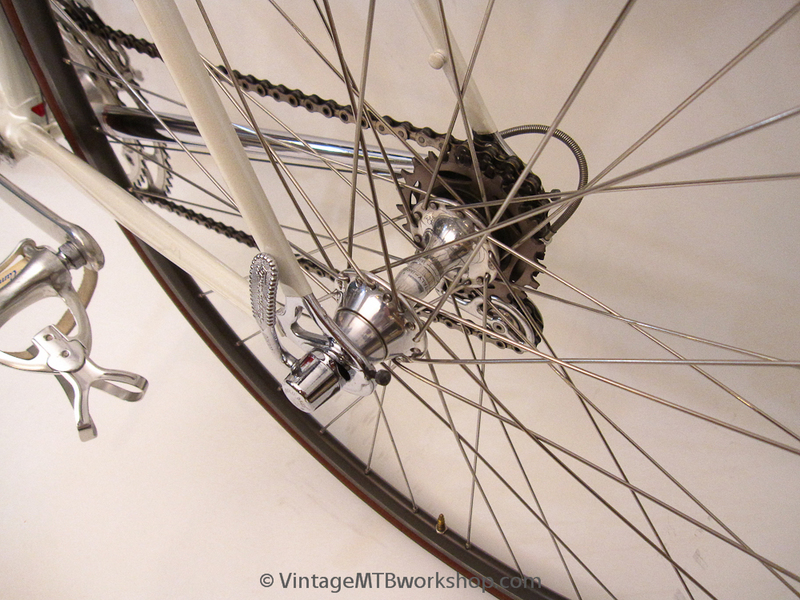 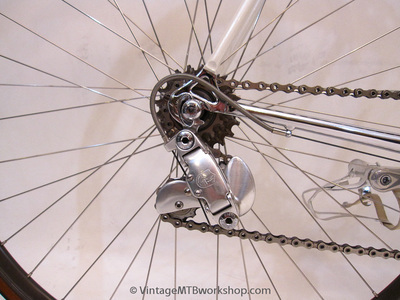 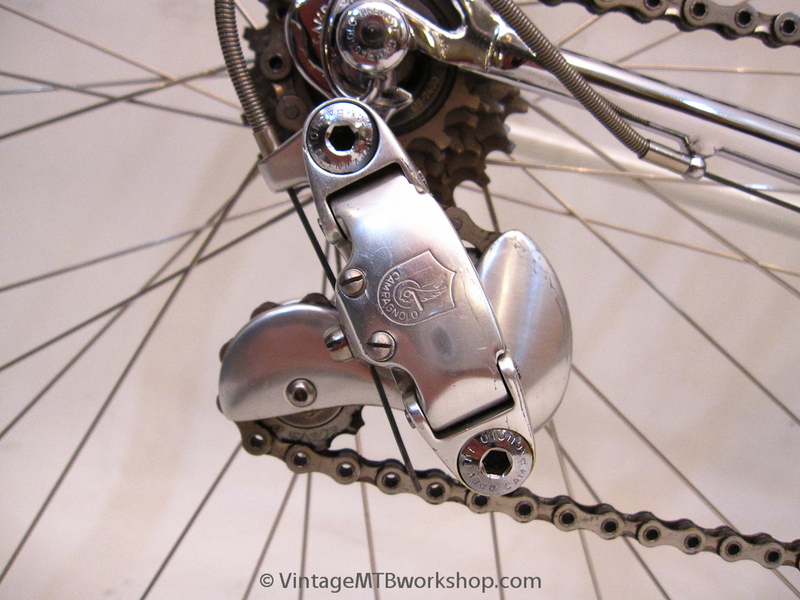 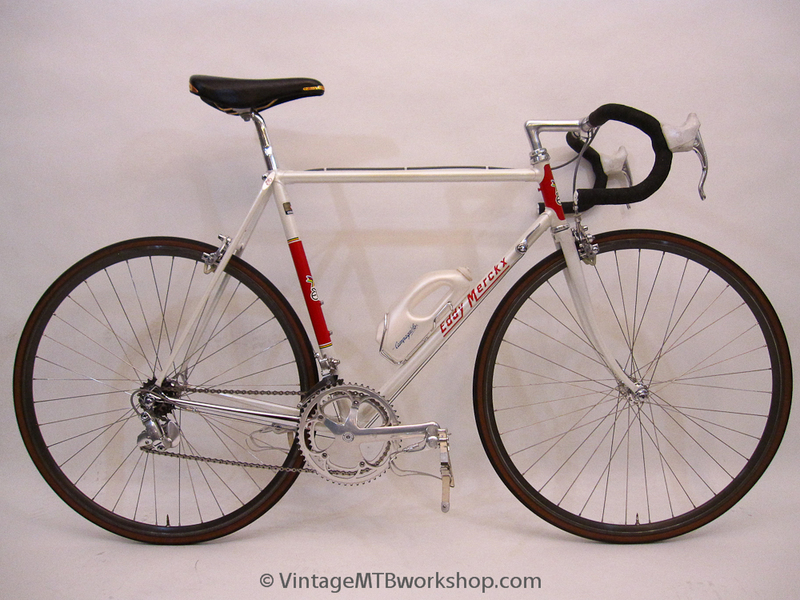 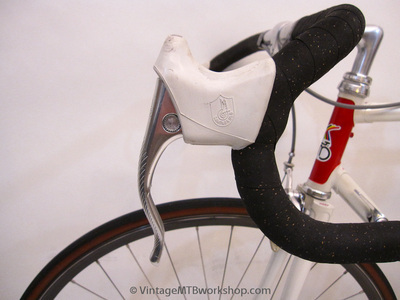 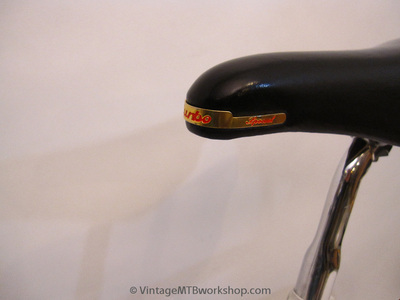 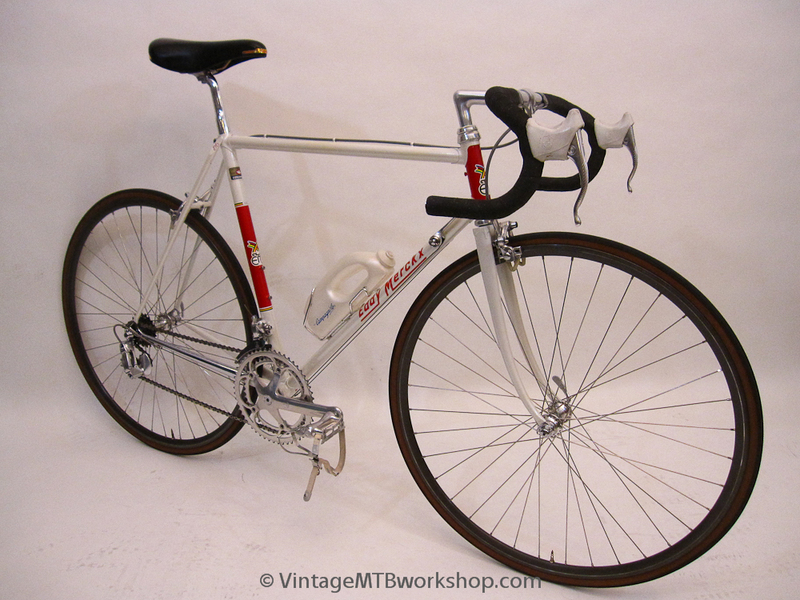 The bike is built with a complete Campagnolo C-Record group with early stamped logos and Cobalto brakes.